Me and my trusted bicycle. Welcome to my food blog! I’m Lizzy. I love to cook. The recipes on this food blog are inspired by international eats and creative projects and are checked by my student lifestyle. I always make use of what I already have in the fridge- keep cooking endeavors relatively quick- and shop on a student budget. 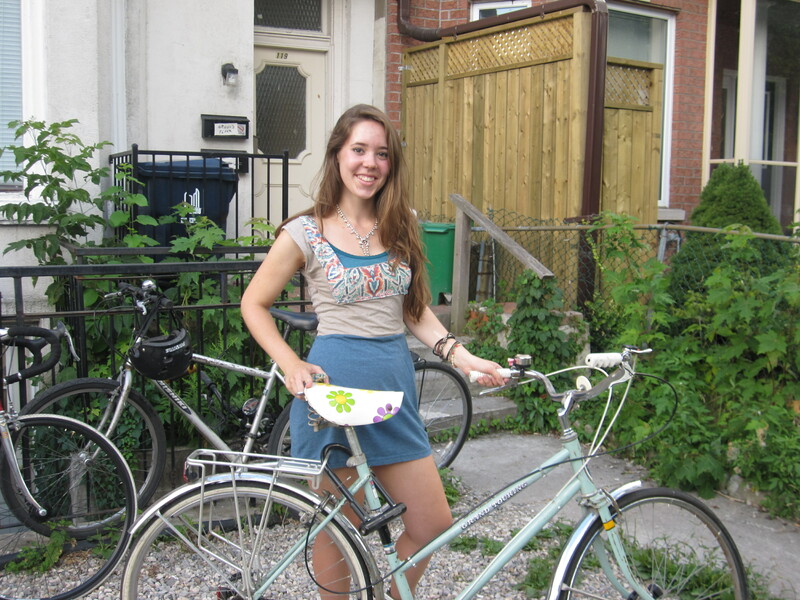 Along with recipes, you’ll find posts about fun I’m getting myself into here in Toronto- such as selling Cookies on Bikes or other fun adventures. Finally, this blog is part of my larger amateur cooking hobby which encourages me to get my creative juices flowing, and leads to interesting eats! Hope you all enjoy! If you have a request for a recipe, leave it below!